* Woot! 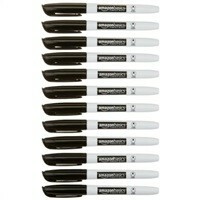 has the AmazonBasics Permanent Markers (12-Pack) for a low $2.40. Free Shipping for Amazon Prime members, otherwise $6 Shipping. This is about 69% less than comparable Sharpie markers. Seize the deal before it’s gone. 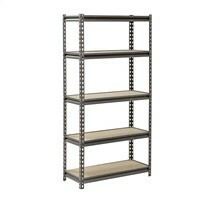 Check out Muscle Rack 60" x 30" x 12" 5-Shelf Z-Beam Boltless Steel Shelving Unit $34.98 at Home Depot now. Find more discounts and offers from Home Depot just at CouponAnnie in April 2019. * Walmart has the Soleil PH91K Electric 5200BTU Quartz Infrared Heater (Up to 1500W) for a low $39.97 Free Shipping. Save 50% off the $80 retail price. Seize the deal before it’s gone. 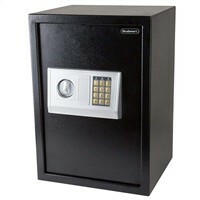 Check out Stalwart Extra Large Steel Safe w/ Digital Keypad (14" x 12" x 20") $69.99 at Walmart now. Find more discounts and offers from Walmart just at CouponAnnie in April 2019. 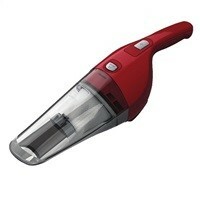 * Walmart has the Black and Decker HNV115J06 Dustbuster Quick Clean Cordless Hand Vacuum for a low $12.00. Free shipping for orders over $35 or get free in-store pickup. This is originally $24, so you're saving 50% off retail price. 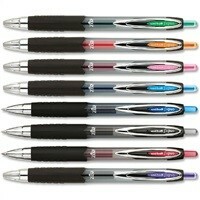 * Walmart has the Uni-Ball 207 Retractable Medium Point Gel Pens (8-Ct, Assorted Colors) for a low $3.29. Free In-Store Pickup or Free Shipping on orders over $35. This normally retails for $13, so you're saving 74% off with this deal. 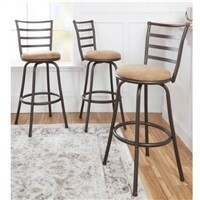 * Walmart has the Mainstays Adjustable-Height Swivel Barstool (Set of 3) for a low $59.00 Free Shipping. This normally retails for $99, so you are saving 40% off list price. 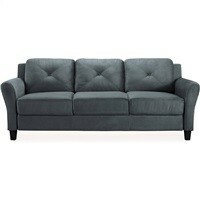 * Walmart has the Lifestyle Solution Taryn 78.75" Curved-Arm Sofa for a low $219.00 Free Shipping. Save 19% off the $309 retail price. * Home Depot has the Muscle Carts 1,200 lbs. 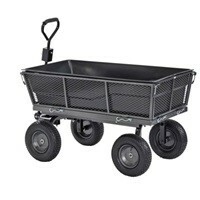 Capacity Steel Dump Cart for a low $75.19 Free Shipping. This is normally $150 so you save 50% off with this deal. 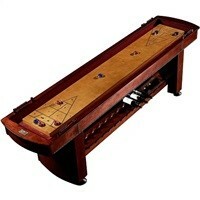 * Walmart has the Barrington 9-Foot Classic Wood Shuffleboard Table w/ Wine Rack for a low $499.99 Free Freight Shipping. 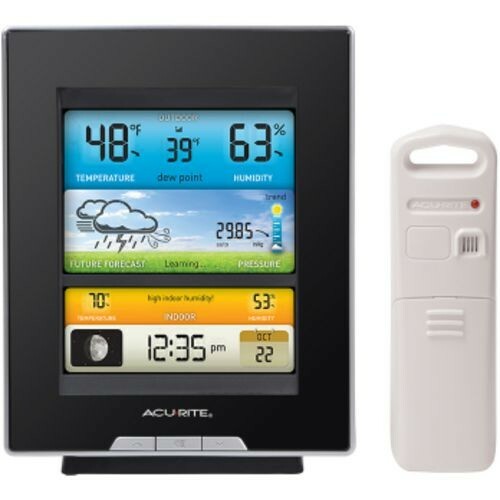 Save 22% off the $649 retail price. * Walmart has the Manor Park 42" Modern Farmhouse Entryway Storage Bench for a low $99.99 Free Shipping. 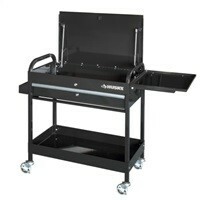 This normally retails for $200, so you are saving 50% off list price. Seize the deal before it’s gone. 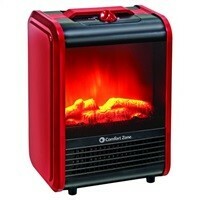 Check out Comfort Zone 600/1200W Mini Electric Fireplace Space Heater $35 at Walmart now. Find more discounts and offers from Walmart just at CouponAnnie in April 2019. 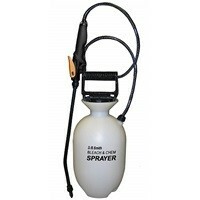 * Walmart has the Smith 1-Gallon Bleach & Chemical Sprayer for a low $11.52. Free Shipping over $35 or buy online, pick up in store. Amazon has it for the same price. Save 54% off the $25 retail price. 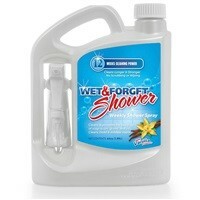 * Walmart has the Wet and Forget Weekly 64 Fl Oz Shower Cleaner for a low $14.67. Buy Online Pick Up In-Store. This is normally $20 so you save 25% off. 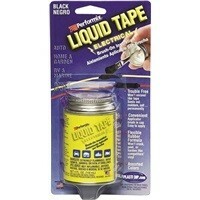 * Walmart has the Performix LT14023 4oz Electrical Liquid Tape Can for a low $5.00 Free Shipping. Save 50% off the $10 list price. 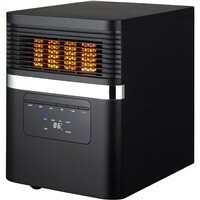 * Walmart has the Bold Flame 1500W Infrared Electric Space Heater for a low $49.99 Free Shipping. This normally retails for $85, so you're saving 41% off with this deal. 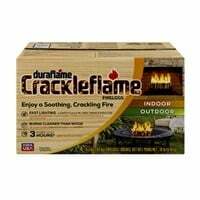 * Walmart has the Duraflame Crackleflame 4.5lb 3-Hour Indoor/Outdoor Firelog (4-Pack) for a low $13.99. Free 2-Day Shipping on orders over $35. This normally retails for $22.90, so you're saving 39% off. 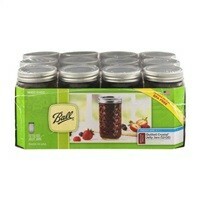 * Walmart has the Ball 12oz Quilted Crystal Jelly Jars w/ Lids & Bands (12-Count) for a low $8.93. Free In-Store Pickup or Free Shipping on orders over $35. This normally retails for $11.88, so you're saving 24% off. This works out to be $0.74 per jar. 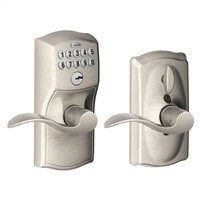 * These Schlage keypad deadbolts are a convenient way to secure side garage doors, sheds and more without having to carry a key around. * Home Depot has the Husky 31 in. 1-Drawer Utility Cart for a low $59.40 Free Shipping. 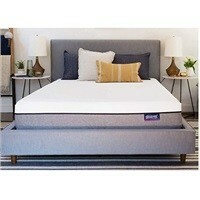 This normally retails for $99, so you are saving 40% off list price. 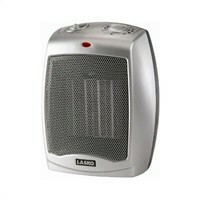 * BuyDig has the Lasko Digital Ceramic Tower Heater w/ Remote Control for a low $34.99 Free Shipping. Tax in NJ. This normally retails for $76, so you're saving 53% off with this deal. 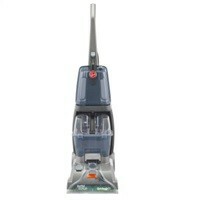 * Home Depot has the Hoover FH50134 Turbo Scrub Upright Carpet Cleaner for a low $79.88 Free Shipping. This normally retails for $149, so you are saving 46% off list price. 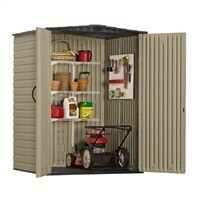 * Lowe's has the Rubbermaid Roughneck 5 ft x 4 ft Storage Shed for a low $329.00 (Ends 10/30). Free in-store pickup. This is originally $429, so you save 23% off. Also available is the 5 ft x 6 ft Shed for $429.00. Great for storing outdoor equipment and long tools. 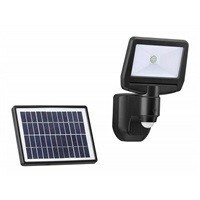 * Woot has the Link2Home EM-SL700B 700-Lumen LED Solar Security Motin Sensor Flood Light for a low $28.99. $5 Shipping or Free Shipping with Amazon Prime membership. Save 22% off the $37 list price. Seize the deal before it’s gone. 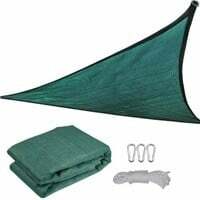 Check out Triangle UV Blocking Sun Shade (11.5' x 11.5' ) $29.99 at Tippit now. Find more discounts and offers from Tippit just at CouponAnnie in April 2019. * The F5 Two-Head Fluorescent Lighting Kit from Interfit is a versatile photo or video lighting solution for portraits, products or e-commerce in the studio or on the road. The kit includes 2 F5 five-lamp fixtures, each with a 19.7 x 27.5" softbox, 7.5' light stand and 5 daylight-balanced compact fluorescent lamps. * Super Bright 4000 Lumens, equivalent to a 250 Watt Light Each head can be independently adjusted & powered on or off Light heads can be quickly removed from the tripod for tabletop or floor use Quick release lever for fast and easy height adjustment 35,000 hours lifespan. * The Little Giant Alta-One Model 17 is the lightest 17-foot multi-use ladder on the market. The Alta-One is the ultimate in strength, safety and versatility. You can count on quality performance for years to come. * No-See-Um Mesh upper (polyester) / Hydroseal floor (2-layer) / Seam-taped floor / Derlin Single Pole system / Sleeping pad straps / Internal mesh pocket. * 7000-Watt Dual Fuel Portable Generator with Electric Start/Runs on LP Gas or Gasoline 8.5 Gallon Fuel Tank Electric or Pull Start Low Oil Shut Off Sensor. * Control your plug turn on or off with your smart phone no matter where you are. Schedule your plug to turn on or off at specific time. Share the device to your family./With the time setting function, you can turn on/off your appliance based on specific time. * Top ring can be inflated (pump sold separately) and pool fills with water quickly, so you can start swimming sooner. Puncture-resistant, 3-ply material adds strength and durability. * Introducing the worlds first cordless hedge trimmer with a 1 cut capacity. The NEW EGO POWER+ Hedge Trimmer has a Hi-Efficiency Brushless Motor for longer run times and a 24 dual action, hardened steel blades for precise, clean cuts. * Drift away a summer night in the Island Bay 13 ft. Nautical Quilted Hammock with stripes in alternating shades of blue. Its massive width and sturdy quilted construction make it suitable for two adults, if you're willing to share. * Durable Framework / Heavy-Duty Reflective Silver Interior / Soft and Evenly Reflected Light / Extremely Portable, Lightweight Design / Opens and Closes Like an Umbrella. * Featuring a center column that converts to a four-section monopod, the Magnus PV-741M Tripod brings enhanced flexibility by enabling you to quickly switch between tripod to monopod shooting without missing a beat. * Works with all Ryobi 40-Volt lithium-ion tools and batteries 16 in. deck, ideal for small yards and detailed landscaping 2-in-1 mowing system for mulching and bagging 1.25 in. - 3.5 in. cutting height adjustment Fold down handle for compact storage. * The M18 FUEL Blower has the power to clear from 15 ft., gets to full throttle in under 1 second, and generates up to 30% less noise than gas competitors. Designed to meet landscape maintenance professional needs, the POWERSTATE Brushless Motor. 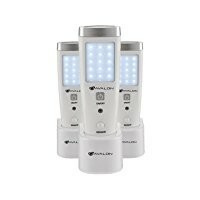 * Remotely Control Your Lights Built-In 2.4 GHz Wi-Fi Compatible with iOS & Android Devices Easy-to-Use Kasa Application Programmable Scheduling Away Mode Works with Alexa & Google Assistant LED Indicator. * Lightweight and soft, making you comfortable. Durable and multipurpose quality, you can use it in the beach, picnic, camping and outdoor events. The size can meet a family's needs. It is convenient to carry with folding into a compact form. * Gather friends and fauna around the Landmann Haywood Wildlife Fire Pit. 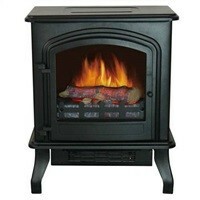 This 20-inch fireplace can be enjoyed from any angle, accented by decorative wildlife cutouts in the base. With a protective spark screen all the way around and a large hinged access door on one side, it's easy to get a fire going and to keep it safe. * The Cedar Pergola will turn any backyard into a luxurious summer retreat. The multi-level design fits in easily with contemporary or traditional decorating themes. This pergola has a strong foundation from its 6' x 6' main posts and stays rigid using double sets of 2' x 6' main beams. An internal area of 9' x 11' and 6' 7" headroom creates plenty of room for furnishings. * Whether you're out of town or just turning into your neighborhood, the Craftsman 57915 3/4 HPS Smart Garage Door Opener lets you control your door right from your pocket. Sometimes electronics in your home can interfere with a garage door opener. * Durable fiberglass material looks like a real tree stump / Includes a long-lasting, energy-efficient LED light / Water cascades from top to bottom for a calming sound / No plumbing - water circulates through included pump. * Durable weather resistant plastic construction with black finish is ideal for outside application Adjustable head to target spot lighting 2 convenient mounting options; stake or post mount installs easily to illuminate trees, gardens or pathways. * The Kidde i12040 contractor 6 pack is sold as one master pack that contains 6 individual units. These alarms are 120-Volt hardwired ionization smoke alarm with 9-Volt battery backup and Hush feature. Smoke alarms have the ability to function as single units or in an interconnected system. Skip the mall and enjoy Home & Garden deals 2019 from your favorite stores online at Couponannie. Get everything you need and save money with Home & Garden deals. On this Home & Garden deals page, you can easily narrow your search and get the best deals by category, store, brand and price. There's a nice picture of each product and key discount information, including the original price, sale price and price drop percentage that tell you whether this deal is worthwhile. Check these Home & Garden deals and be a smart shopper. 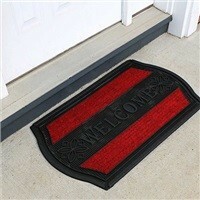 At Couponannie, we help you find huge savings and discounts for Home & Garden. 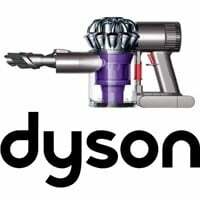 Spot the best bargains on Bath Accessories, Art & Wall Decor, Bath Rugs & Mats, Bedding Sets, Bedroom, Blankets & Throws, Candles & Wax Warmers, Cookware, Bakeware & Tools, Decorative Pillows, Dining & Entertaining, Dining Room, Frames, Kids' Furniture, Kitchen Storage, Lighting, Living Room, Office, Outdoor Grills, Patio, Patio & Garden, Patio Furniture, Quilts, Rugs, Sheets, Shower Curtains, Storage, Storage & Organization, Towels, Window Coverings, and many more. Use your money smartly to spend less on Home & Garden. Speaking of Home & Garden, here’s the top merchants you could save the most with our Home & Garden deals - Lowe's, Home Depot, Wayfair, Pottery Barn, Crate and Barrel, Frontgate, Cost Plus World Market, CB2, Kirkland's, Plow & Hearth, Brylane Home, AllModern, Gettington, Ginnys, ATG Stores, CPO Outlets, Country Door, True Value, VM Innovations, Designer Living, Bellacor, Design Toscano, Westside Wholesale, Walter Drake, MacKenzie Childs, among many others. If you shop online, make sure you read the return and exchange policies on retailers' sites. And to make sure you're getting a good Home & Garden deal, search Couponannie for a coupon code or promo code that will let you save some extra bucks. But exclusions may apply sometimes, and discount applies to selected products or categories. Read them carefully, too. We have checked prices at multiple retailers to make sure we give you the best price. So, remember to check out our site first before hunting for the best Home & Garden deals. Happy saving!